New York Times #1 Bestselling Author of "Highest Duty: My Search for What Really Matters"
​​Named one of 2009’s 100 most influential people in the world by TIME magazine, Captain Chesley B. 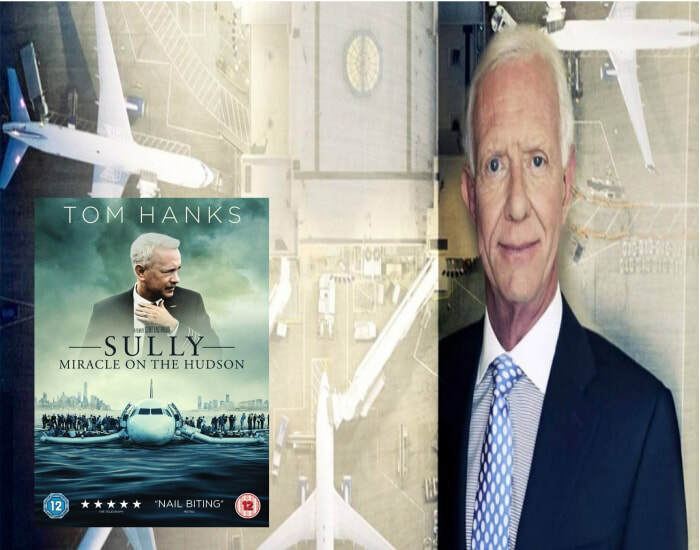 “Sully” Sullenberger is an international hero, propelled into the spotlight after safely guiding a US Airways jetliner to an emergency landing on the icy Hudson River. A consummate leader, Captain Sullenberger shares timeless management principles—including his credo of “leadership by personal example”—and the lessons from his life that prepared him to handle the unprecedented crisis presented by the “Miracle on the Hudson.” A 48-year accomplished pilot, instructor and aviation safety expert with over 20,000 flight hours, he discusses with audiences how education, teamwork, preparation and creating a culture of quality and safety can improve any organization. A focused, unflappable and deliberate leader, Captain Sullenberger’s sound decision-making ability and strong personal commitment to improving an industry have helped him to emerge as a model by which others measure success. In collaboration with DuPont Sustainable Solutions, Captain Sullenberger developed and was featured in a multi-award winning video training program, “Miracle on the Hudson: Prepare for Safety,” which helps employees increase their commitment to safety and transform their organizations’ safety culture. He is the author of two books—The New York Times best-selling Highest Duty: My Search for What Really Matters (2009) and Making a Difference: Stories of Vision and Courage from America’s Leaders (2012) in which Captain Sullenberger embarked on a personal quest to meet with distinguished Americans from diverse fields with varied styles of leadership but who all have exhibited moral courage and who embody the credo of “leadership by example.” Clint Eastwood is currently directing the major motion picture of Captain Sullenberger’s life. Capt. Sully's story is one of dedication, hope, and preparedness, revealing the important lessons he learned through his life, in his military service, and in his work as an airline pilot. In this riveting presentation, he shares details from the 208 seconds that put his entire career on the line. He reminds audiences, even in these days of conflict, tragedy and uncertainty, there are values still worth fighting for—that life's challenges can be met if we're ready for them. Are you ready to aspire to new levels of excellence in life and business? How you prepare, train and lead make all the difference when you are confronted with a challenge. Capt. Sully’s life-long pursuit of learning and investing in himself shows the importance of education and preparedness, and illustrates that true leaders must always lead by example. In this presentation, Capt. Sully will challenge and inspire teams to establish a foundation of passion for their work, build trust in each other, and commit to always reaching for the highest standards. Capt. Sully's stellar reputation as a leader was built over many years - one interaction, one person, one day at a time. In this presentation he shares how each of us has an opportunity to "make a difference," and that every day offers us numerous opportunities to be better and do better.